Chief Minister Devendra Fadnavis at IES Raja Shivaji Vidyalay at Dadar. 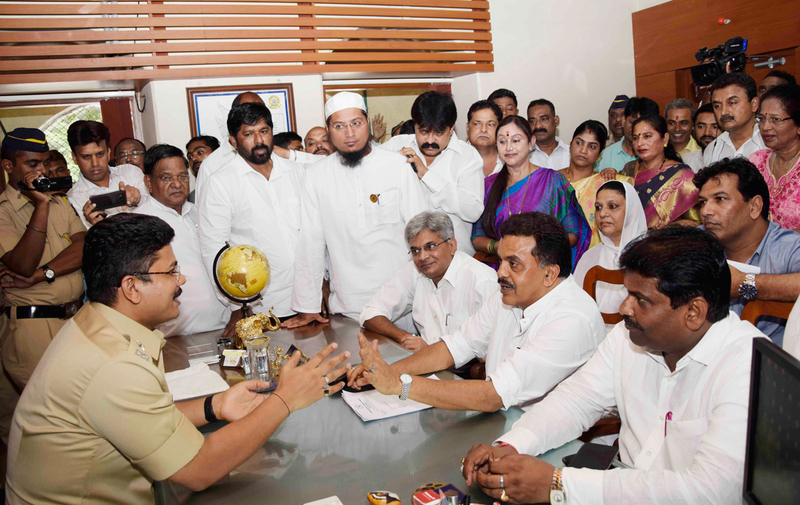 Mumbai Congress President Sanjay Nirupam with LOP BMC Ravi Raja & Corporators Team meets DCP Zone 1 office to Fie Complaint against BMC Commissioner Ajoy Mehta against Land Scam. Description: Mumbai Congress President Sanjay Nirupam with LOP BMC Ravi Raja & Corporators Team meets DCP Zone 1 office to Fie Complaint against BMC Commissioner Ajoy Mehta against Land Scam. Mumbai Congress President Sanjay Nirupam with Party Workers Opened Money Boxes Collected for Nepal Earthquake Relief Fund.